For short stays, please call to book. 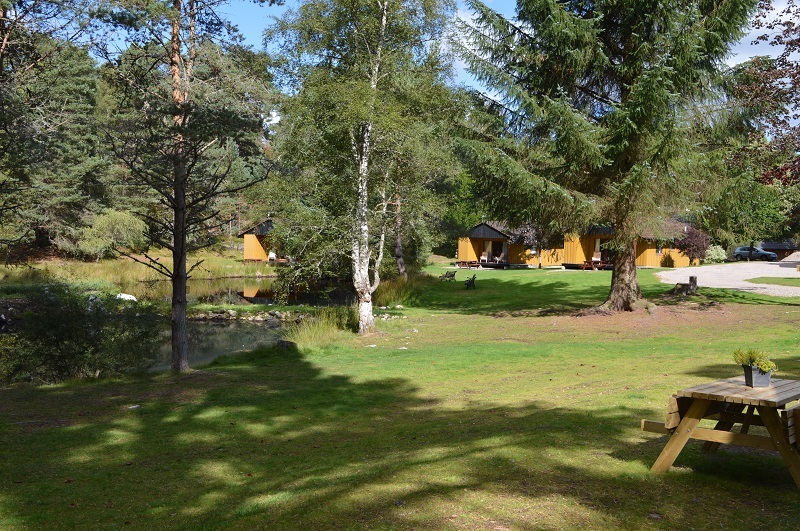 Situated in gloriously peaceful woodland by an enchanting lochan in the grounds of Fairwinds Hotel are our 6 delightful chalets, sleeping four or six people in each. Fairwinds nestles in a secluded position in the centre of the lovely village of Carrbridge in the Cairngorm National Park – ideally located – only five minutes walk to the Landmark Centre, well-stocked village shop, pub and restaurants. 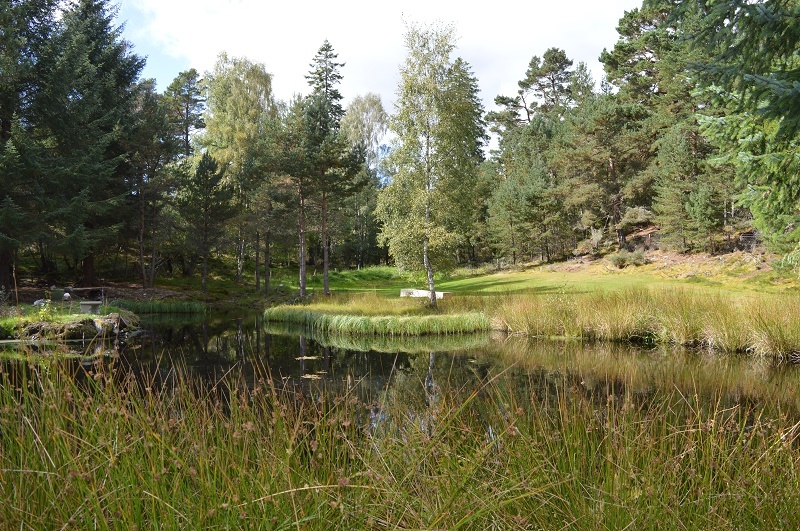 The countryside immediately around us consists of a superb mix of rich farmland, forests and wild moorland, and is overlooked by the dramatic, serene and spectacular Cairngorm mountains. At Fairwinds Chalets, we are expert at making you feel you have arrived at your very own holiday home in the country. The chalets have been sympathetically developed to provide excellent standards of self-catering comfort, in beautiful, mature and extensive grounds. The chalets are private and well spread out, and all take advantage of differing elevated positions to fully exploit the charming environment. All are fully equipped for a special holiday – just ideal for that relaxing break – or an activity packed family holiday. There are plenty of open areas for play or relaxation, and lovely walks in and from the grounds. The emphasis here is on peace – take time to enjoy the abundance of wildlife – in an area of outstanding natural beauty. Our chalets are well maintained and fully equipped. The owners of the Fairwinds Hotel oversee all the cleaning and maintenance of the chalets in their grounds. The high number of repeat customers is testament to the satisfaction of the guests who stay in our chalets. Nestling in the very heart of the Scottish Highlands is the delightful age-old village of Carrbridge. The first of the Scottish ski villages, the history of this small but lively community dates back many hundreds of years with its past reflected in the curved arches of its ancient packhorse bridge – the oldest stone bridge in the Highlands. Surrounded by spectacular mountain and moorland scenery and within easy reach of a host of exciting tourist attractions, Carrbridge has a great deal to offer both summer and winter visitors. Among the attractions that have helped put Carrbridge on the map is the Landmark Forest Adventure Park (all our guests get a 10% discount) with its wild water coaster, steam powered saw mill and tree top trail set in an ancient pine forest. The village also has its own pony trekking centre, challenging nine hole golf course, bowling green and there are opportunities nearby to try out many sporting or outdoor activities. While the best of Scottish skiing can be found on the nearby snow capped tops of Cairngorm, there is a seemingly never ending list of activities from mountain bike riding and watersports to golf, fishing, clay pigeon shooting, hill walking, bird watching and climbing. Carrbridge, which is also renowned as the home of both traditional and contemporary Celtic music and song, also provides an ideal base for exploring other areas of the Highlands from the Highland capital of Inverness to Loch Ness, the Malt Whisky Trail, Royal Deeside, the Moray Coast, the West Highlands and Skye. 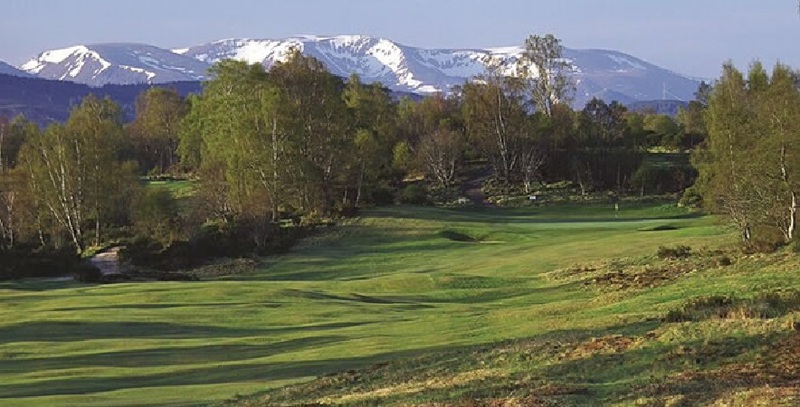 Special Golf offer - preferential green fee rate at Boat of Garten Golf Club for Fairwinds guests.